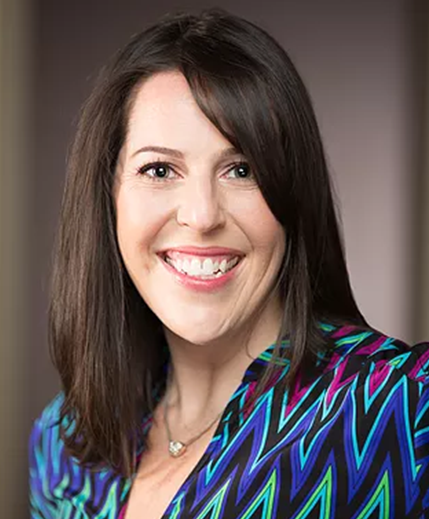 Jill Lewis is a MA, LCSW, Certified Eating Disorder Specialist, and certified group psychotherapist who provides individual, group, couples, and family therapy for people struggling with anorexia, bulimia, and compulsive overeating. She also provides supervision to clinicians in the field of eating disorders. She also works with individuals who suffer from depression, borderline personality disorder, anxiety, and relationship issues. She received her Bachelors degree in education from the University of Georgia. She received a Masters of the Arts from New York University as well as a Masters degree in social casework from Yeshiva University. Jill worked as a primary therapist at the Renfrew Center of New York and served as the Intensive Outpatient Team Leader. She helped start a second intensive outpatient program at the Renfrew center of New York, and has consulted with Balance Eating Disorder facility, where she ran their bi-monthly family group. She has completed a two year psychodynamic training program at The New York Psychoanalytic Society and Institute, as well as intensive group training at the Eastern Group Psychotherapy Society. She has completed a course In Intenal Family Systems (IFS). ​ Jill started TREAT, Therapists relocating and Engaging Atlanta Together. A Networking group for those who have recently moved to Atlanta. She was the Treasurer for IAEDP New York and is now the current Treasurer for IAEDP Atlanta. Jill leads workshops on how to help clinicians build successful private practices, and has encouraged and helped many clinicians build wonderful practices. Jill started her private practice in 2009 and built a group practice in 2015. She maintains a practice in Atlanta, Georgia as well as New York City where Nicole Rubin, LAPC, Emily Madris, LMHC, and Stefanie Robison, LMHC, work as associates to J Lewis therapy. ​ ​ Throughout her career, Jill has specialized in working with adolescents. Jill was the director of the Traveling Teen Camp with the 92nd Street Y, and has worked extensively in various schools providing group and individual therapy concerning body image and female struggles.